Autumn is in the air! This time of year is truly one of my favorite times at Marist College. The views across the river are absolutely stunning. All the leaves are changing so many rich colors. It’s hard not to enjoy everything about the fall season at Marist. 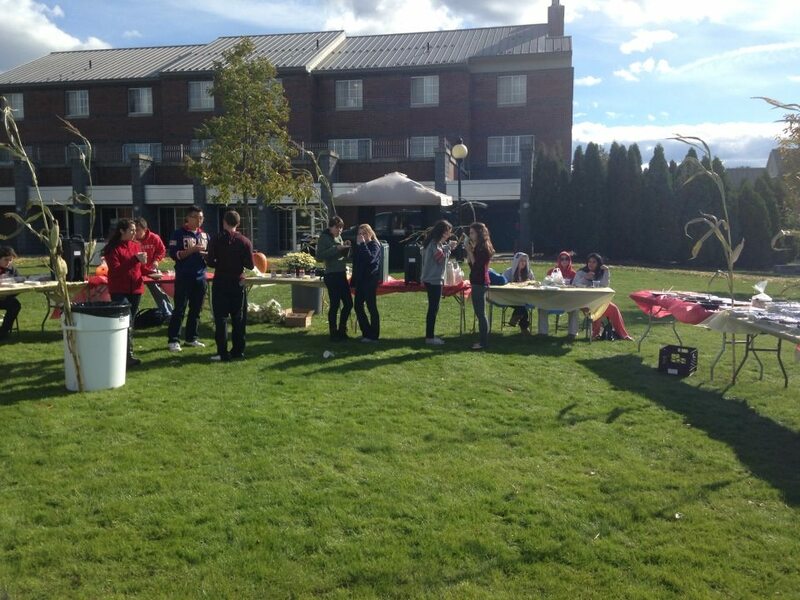 The Student Government Association hosted the Harvest Festival on October 27th from 2 to 4 p.m. on the lawn outside Jazzman’s Cafe. Jane Tracy, the Executive Vice President of SGA and co-chair of the Sustainability Committee, worked together with Maria Gironas, a Resident Senator, to put together this fun event to celebrate fall. SGA is always trying to think of exciting events for students to interact with the clubs around campus. Gironas is in charge of the Red Fox Den Committee, which holds various themed events each month to bring clubs and students together. Gironas organized the event, while Tracy searched for local farms to bring their fresh products to the Harvest Fest! DuBois Farms donated natural produce and fresh jams. Huge cornstalks, pumpkins, over 200 apples, jars of jelly, containers of salsa, and BBQ sauce were also available at the Harvest Fest thanks to DuBois Farms. 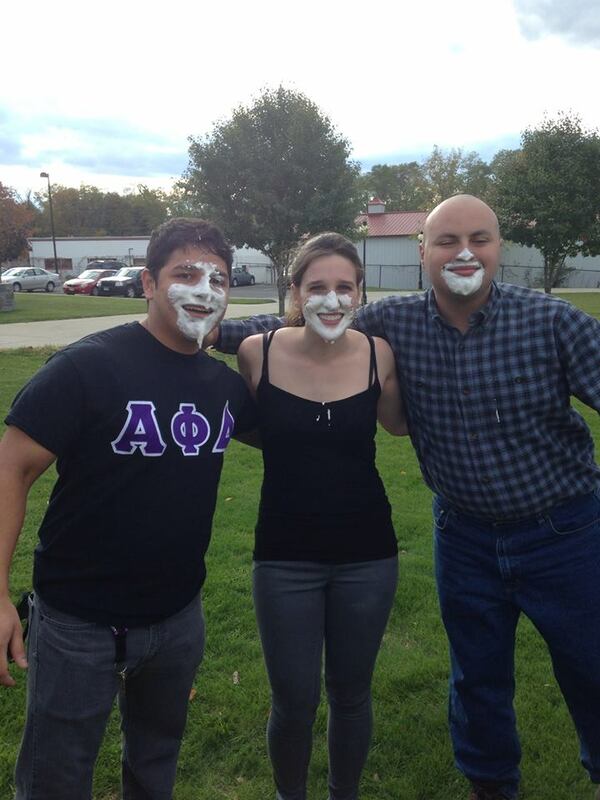 There was even a ‘find the cherry in the pie’ contest too, where the first place winner won an apple pie! “Going local is a big part of being sustainable and I wanted to show that through bringing the farm’s products to Marist,” said Tracy. Over 100 people came out to support the event. A DJ played country music while the students enjoyed all of the delicious foods that different clubs brought to the Harvest Festival. The Senior Class brought apple cider and cider donuts. The Game Society handed out popcorn balls and candy corn, while the Anime Society offered candy apples to attendees. 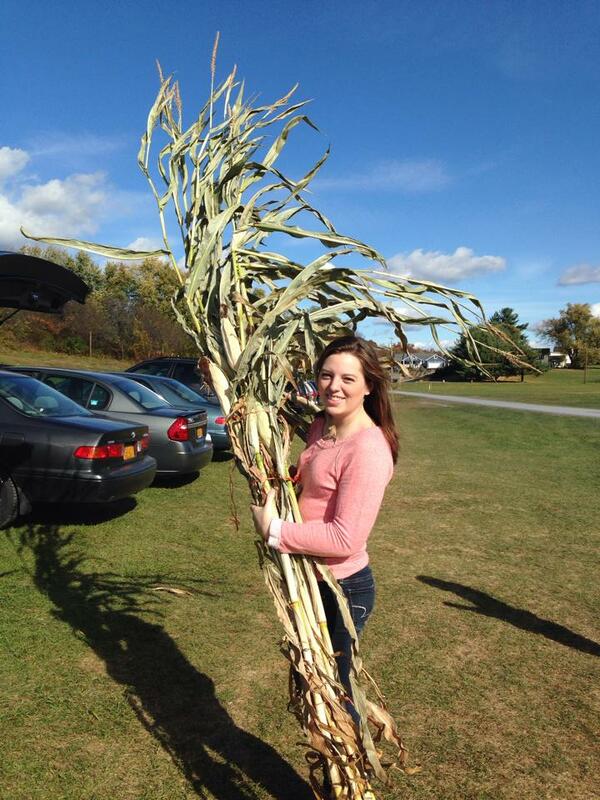 The Harvest Festival was a huge success and allowed students to celebrate more of the fall season on campus! For more info about SGA and other different activities they run here at Marist check out their Facebook page and their website.